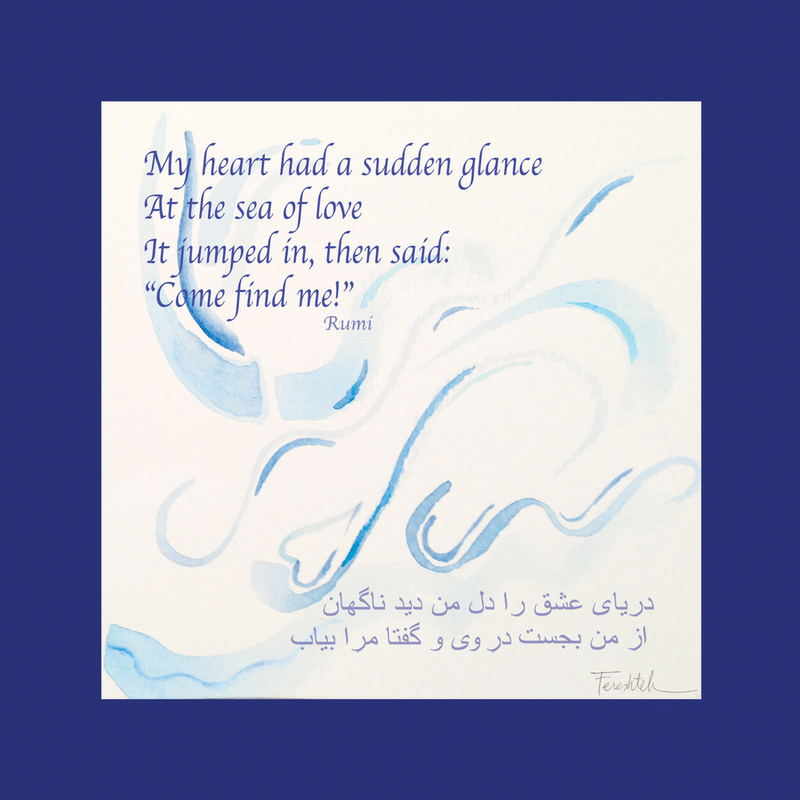 I had always dreamt of translating Rumi's poetry from Farsi, my mother tongue, to English. 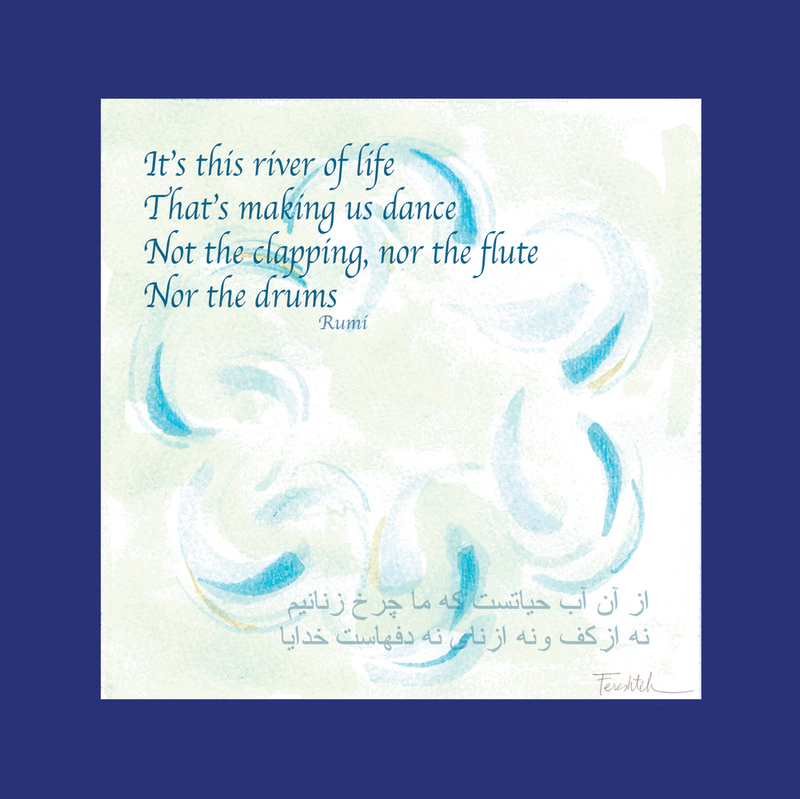 So when the opportunity presented itself during my second year of Spiritual Psychology studies to manifest a dream project, I decided that the right time had arrived. 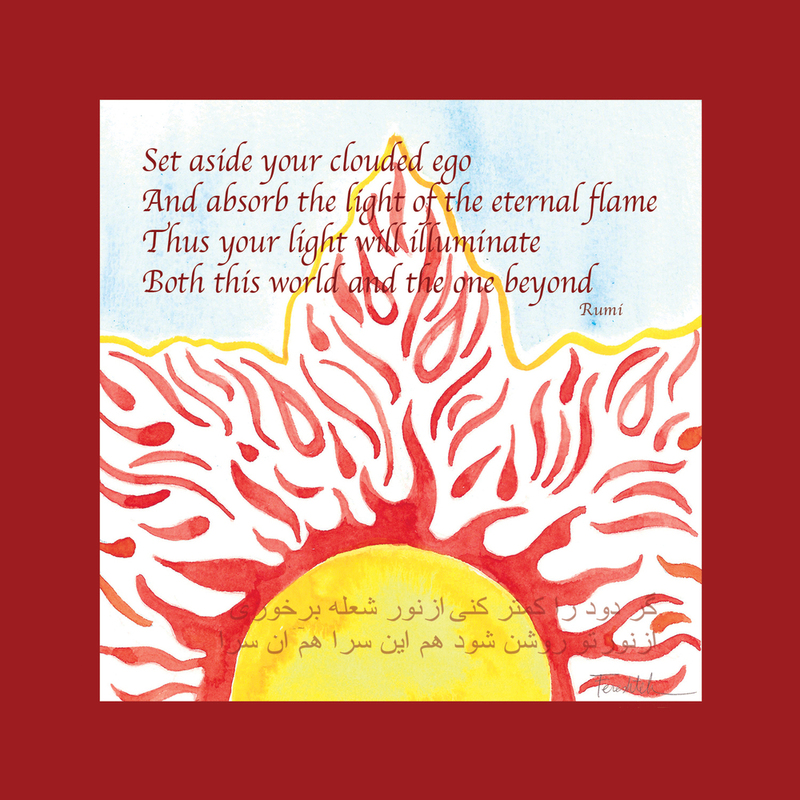 For this project I chose 20 verses of Rumi’s poems from the ‘Shams’ collection that speak of the four natural elements - 5 for each of the elements Air, Fire, Water, & Earth - and I translated them into English. 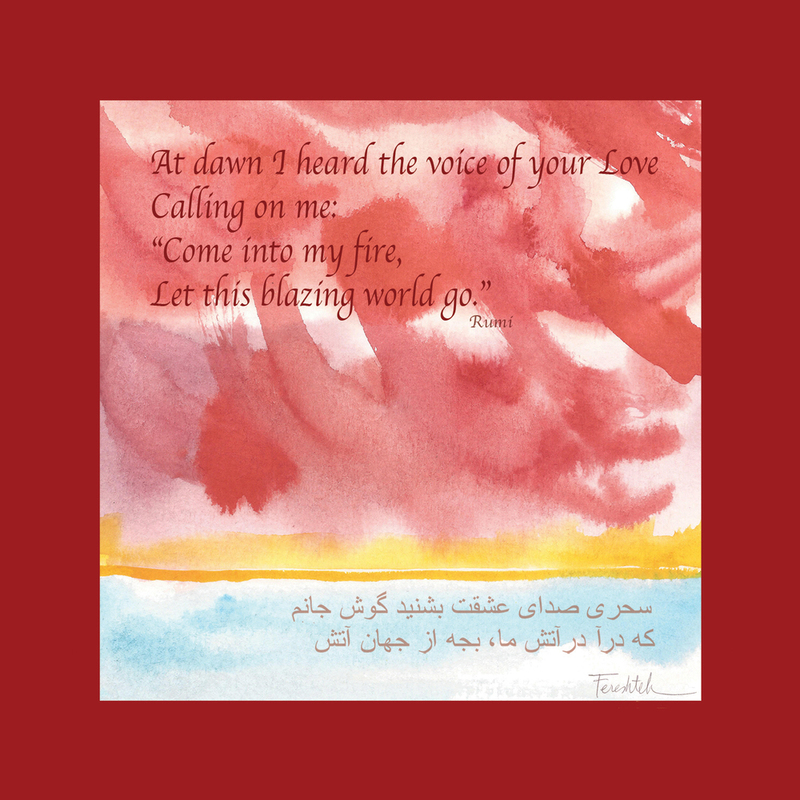 I also painted original watercolors as the background of each of the verses to be printed on. Next, I made 20 pieces of jewelry depicting the same elements and photographed them. 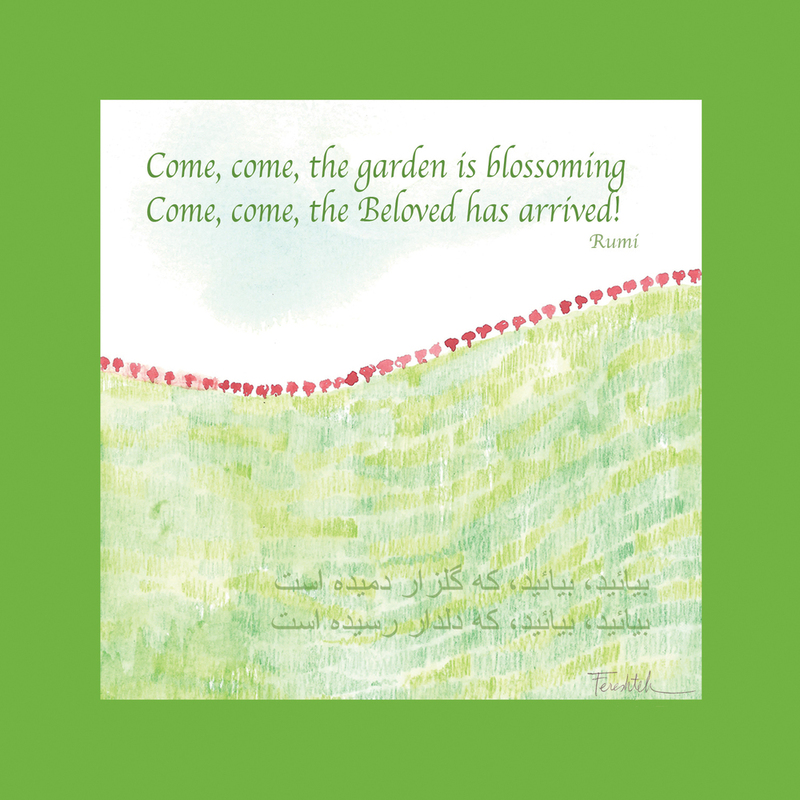 The result was a book titled ‘Coming From Within,’ which is available for purchase. You can send me an inquiry to info@ferangelika.com for additional information. 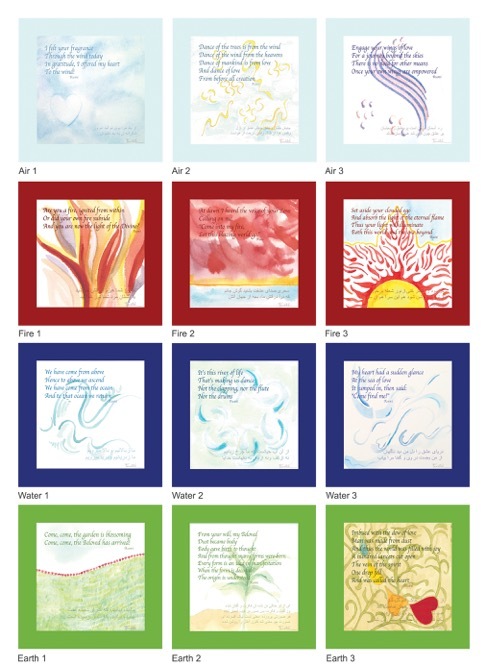 Once the book was done, I chose 12 of the verses to make a collection of 12 boxed-cards with envelope. Every package has all 12 images, and the folded size of each card is 5" x 5". 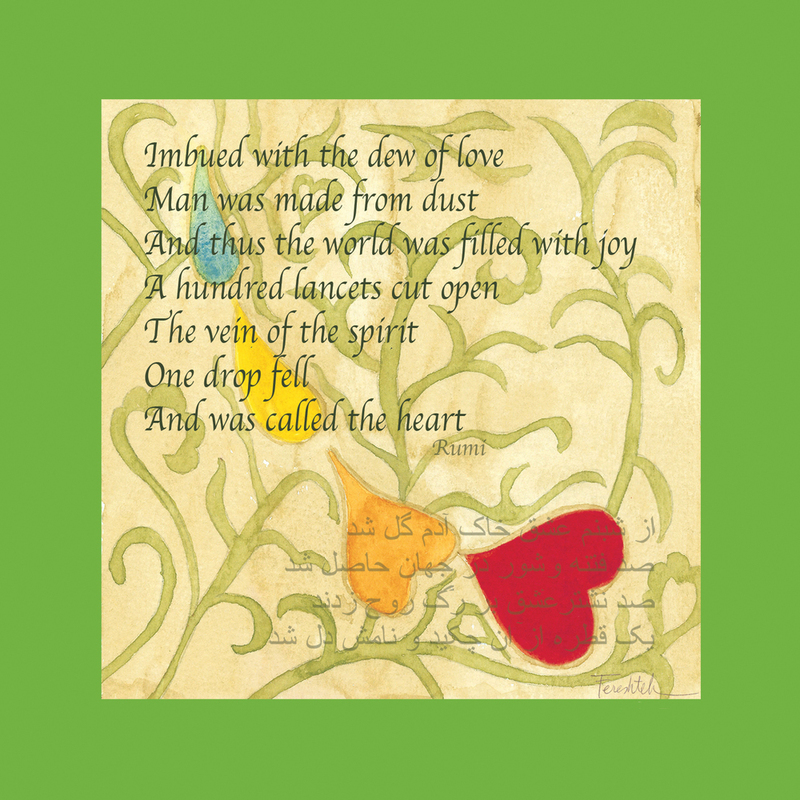 Included in the box is a list of Zodiac signs corresponding to each of the four natural elements. This way, you can select the appropriate card to send to your friends based on their birthday signs, should you desire to do so!